I tried to use the magnet, but I'm not very good at it yet. I've never owned a Magnetic polish. 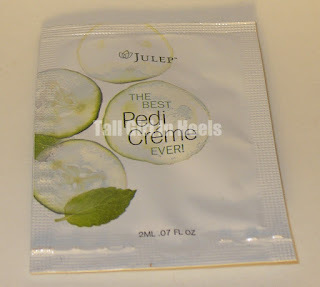 Still not a Julep Maven, but want to become one use promo code: PENNY and click here. Take the quiz to find out what maven box you'll receive. Once you input the promo code you will receive your first box for ONE CENT!! $19.99 every month after. I won #ManiMonday on twitter from Real Beauty! I was so excited anf couldn't wait for my surprise to arrive. When it came I fell in love with the color immediately! 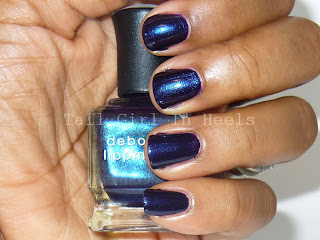 e.l.f Teal Blue! I love e.l.f polishes and their prices! 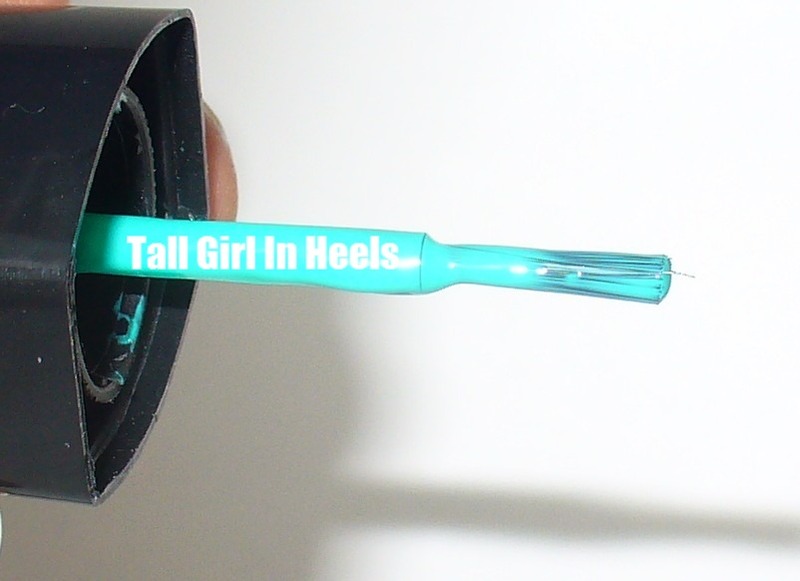 You can get them at eyeslipsface.com or use the direct link to their nail polish here. Their polishes have a great formula. The consistency is thick, but not too thick. It is great for coverage the first coat and a nice even application. The second coat evens everything out and any streaks clear up on the second coat as well. Teal Blue will definitely get use from me! I love it. I'll try to cut down the bristles again to see if I can even them out more. 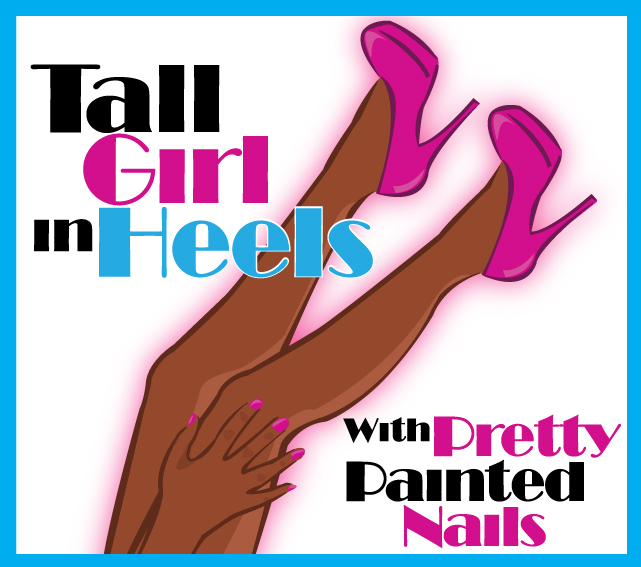 To follow Real Beauty and try to win #ManiMonday you can like them on Facebook and Twitter by clicking on Facebook or Twitter. China Glaze Prismatic Collection has six different colors, but I'm only going to discuss Prism . This is the only one I bought. I wanted Prism because of the light purple look of it. The purple seems to slightly shift from light purple to a silvery color when in the sun. It looks amazing in the sun. There seems to be a gleaming illusion with this color. The first coat of Prism went on with no problems. it was opaque, but not the color I was looking for. I then added another coat and it was amazing. The second coat was much harder to apply. The formula got a little goopy, but once I closed the top and shook it up a little it was much better. Prism is light on the nails. 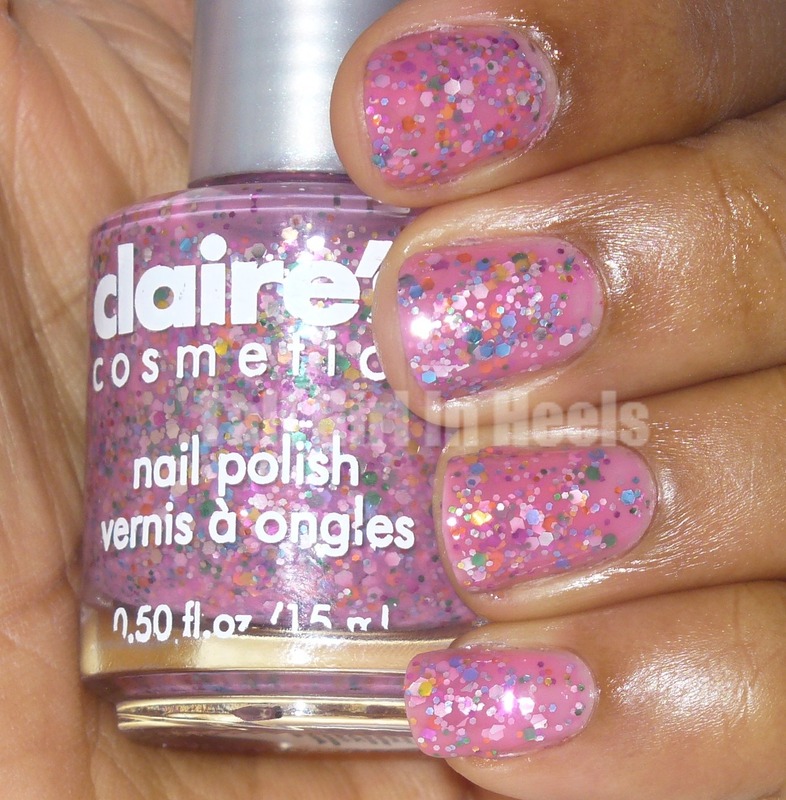 Some lacquers, with lots of glitter, your nails seem heavy once you apply two or more coats, but not with this one. I love this look! I keep looking at my hands and that can be dangerous when you're driving :-) (joke). I really would recommend this lacquer. I don't see a holographic effect though. It's more of a shine that makes it appear silver. I received a package from Dazzle Dry "The Ultimate Nail Polish." The formula is Vegan and they are 5FREE! 5 Free means no Formaldehyde, Toluene, DBP, Camphor or Nitrocellulose were added to make this polish. This polish air dries 75% faster than the leading competitors. That's 45 seconds to the touch and completely dry in 5 minutes. Dazzle Dry has UV protective screening and claims to keep nails chip free for 3-4 week!! It has a high gloss finish, is non-yellowing and your nails look professionally done without the use of UV lamps or drying drops. 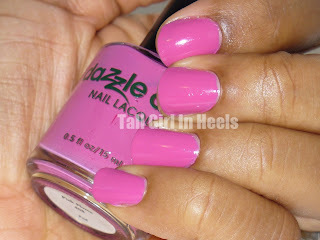 Dazzle Dry an be used on natural nails and acrylic nails. There are 4 steps with Dazzle Dry. Clean your nails and dab dry. 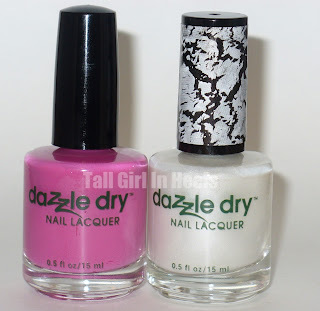 Moisten your cotton ball with Dazzle Dry Nail Prep and wipe the nail surface. 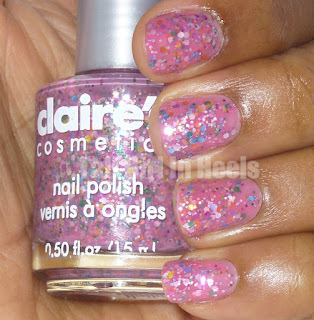 Apply 1 coat of Dazzle Dry Base Coat to the entire nail. Repeat this for all nails and let dry 1-2 minutes. Apply the Dazzle Dry Top Coat. Allow the coat to air dry for about 5 minutes and you'll be good to go. If a highgloss look is wanted without color, you can acheive this look by applying the top coat over the base coat. 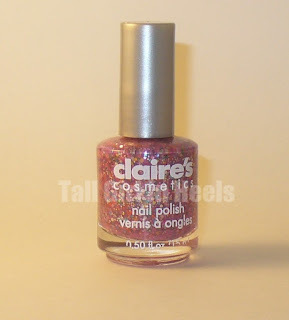 I was sent Pink Plume, Silver Lace Texture along with the Nail Prep, Base Coat and Top Coat. The product applied very well. The formula was amazing and it dried unbelievably fast. The lacquer had a regular smell. It wasn't strong like some lacquers and top coats are. I loved this polish! I don't normally keep polish on for too long because I'm always changing it up to share with you guys. I do, however have two testers they will report back to me on the longevity of this Revolutionary polish. Pink Plume is a deep pink creme. The color is amazing. I didn't think I'd like it on my skin tone, but I absolutely loved it. This is not a color I would have chosen for myself, but I really did like it after all. I loved this textured polish! 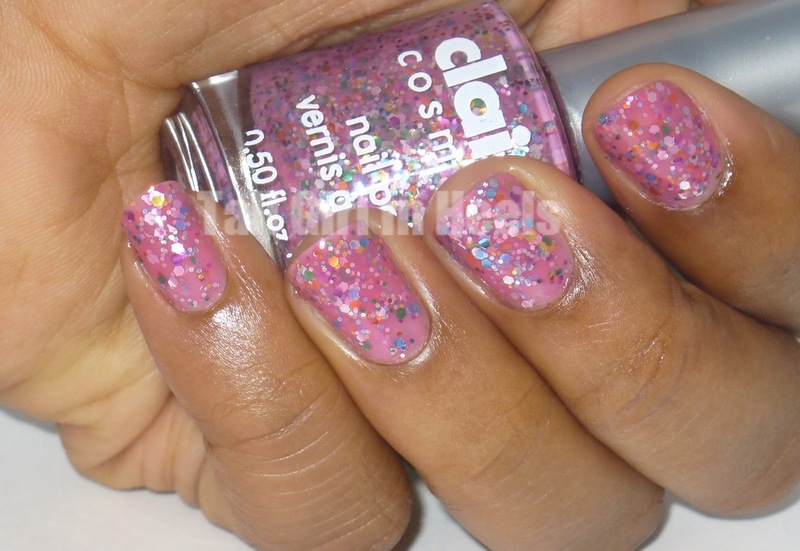 It give the nail the shatter/crackle/texture look without being overbearing. The texture went on smooth and crackled immediately. The Silver Lace Texture adds a shimmer on top of Pink Plume. I liked the effect. If textured lacquers are your thing, this one definitely is one to have in your lacquer collection! Overall: I give Dazzle Dry an A+! This system is amazing! The Top Coat left my nails unbelievably shiny and it lasts with no needed touch ups. I can see this lasting a very long time. This will be my go-to Top Coat! I've had it on for two days now and I see no signs of it chipping off. Dazzle Dry can be removed like any other polish with regular polish remover. Dazzle Dry can be purchased dazzledry.com. There are an assortment of colors to choose from and they are priced at $9. I cant wait to try more colors. 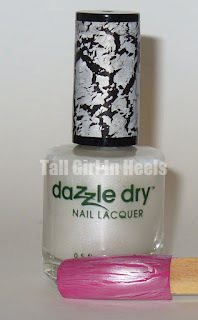 What do you think of Dazzle Dry? Have you tried it yet? Please share. I asked and you answered: 2 polishes giveaway. Revlon's Popular and Revlon's Whimsical are up for grabs. How to enter: Use the Rafflecopter gadget below. 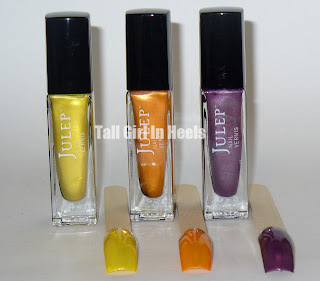 The Colors above are Julep's Charlotte, Taylor and Anne. They're all a shade of Purple in my book. I have seen where Taylor has been referred to as a blue, though. I think Taylor looks blue in some photos and then she looks purple in others. Judge this color for yourself. I tried to get the best representation of Taylor so you could judge. Per Julep: Taylor is a "deep, sky blue crème. 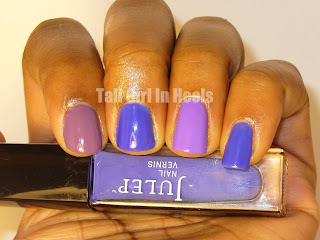 Somewhere between periwinkle and denim funky, but not too flashy." Anne is "ultra-saturated violet," and Charlotte is a "demure lavender." All of these shades of purple are cremes. They are lovely. No streaking and they apply very good. I didn't have any issues with the formula and they dried fast. I used two coats of each and a top coat. The finish was perfection. I cannot say anything bad about any of the colors here. 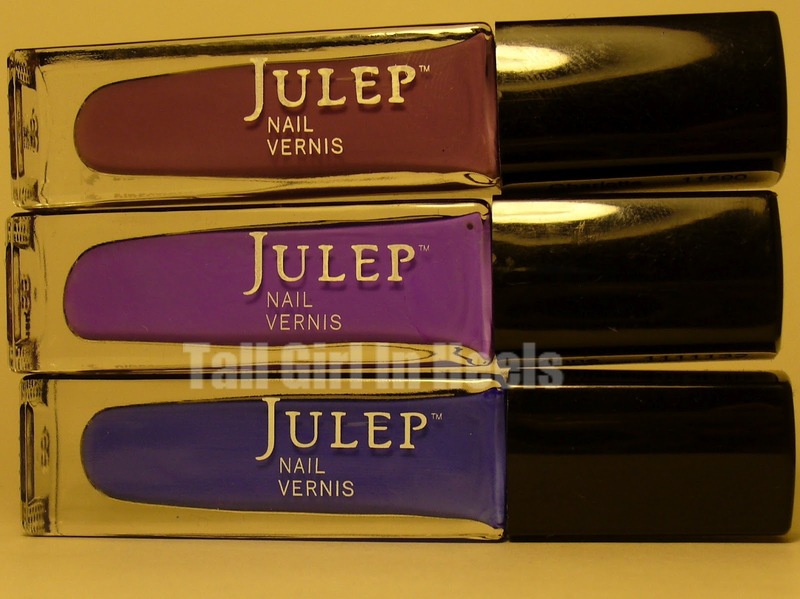 Julep did a wonderful job when making these colors. I must say that I was surprised. I thought that there would be streaking, at least on the first coat, but there wasn't. I thought the formula or brush would be an issue, but again I has no issues. 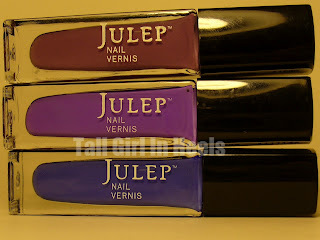 I give Julep an A+ on all three!! I cannot say enough about them :-) I was very impressed. the best true to life representation I could get. gorgeous color. Love her! Taylor looks blue here. Do you have any of these colors? Which is your favorite? Is Taylor blue or purple? Share your comments below. 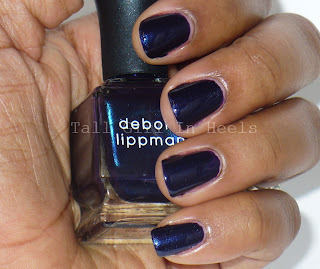 I had high hopes for Deborah Lippmann's Let's Hear It For The Boy. I do love the color and you'll see why in a moment :-). The formula on this one was a little to watery and the brush wasn't able to control the lacquer. I did manage to clean it up as much as possible to get some good pictures for you guys, This one is tough to review because I have fallen in love with DL's lacquer and I couldn't imagine writing a bad review. My true and honest opinion is that I wouldn't recommend you buy this. 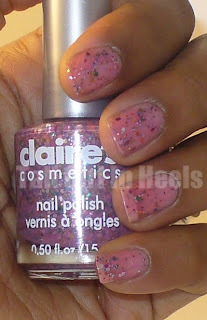 I say that because it is not up to par with the other DL polishes I have tried. I do love the color and once it was on and my top coat (Seche Vite) did it's job, the manicure looked great! However, the overall formula here wasn't great. Both pictures above show two coats of Let's Hear It For The Boy and a top coat. It took a while to do clean up after I had applied the lacquer. This manicure is gorgeous, though, I must admit. To spruce it up a bit I added dots! I won a set of dotting tools recently on Facebook and decided to put them to work. I added dots of Julep's Niecy and Anne. Earlier in this post, I said you would understand why I like this color and here's why. 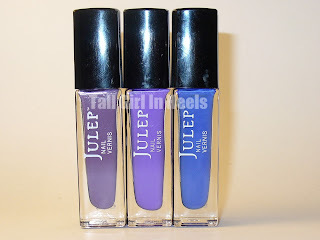 In a previous post, I compared Julep's Jessica to Zoya's Kristen (Here.) Doesn't Let's Hear It For The Boy and Jessica look really similar? Yep! From left to right: Let's Hear It For The Boy , Jessica and Kristen. I guess I should be finished getting polishes in this color family. What do you think of Let's Hear It For The Boy? Do you own it? Was the formula the same for you? Please share. I love to read your comments. Zoya's Tamsen is a beautiful creme red. 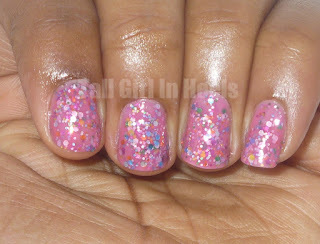 Tamsen is from Zoya Summertime Collection 2011. Zoya describes her as, "Medium warm brick red with strong orange tones with an opaque cream finish. A special red that is both enticing and mysterious." I definitely agree Tamsen does have orangey tones. Tamsen is the perfect Opaque red for this time of year. I absolutely love this color. Tamsen is also close to my name so I have a soft spot for her in my heart. Tamsen was opaque on the first coat, but I saw a little bit of the VNL (visible nail line) so I did two coats. Tamsen has a shiny finish, but I did add a top coat just to seal the manicure. I don't have anything negative to say about this lacquer. Zoya does it yet again. 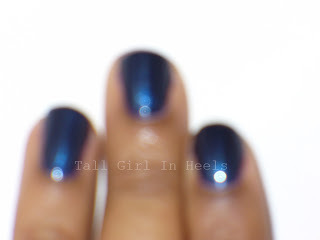 Have you ever been disappointed in a Zoya polish? The formula was great and it applied easily. Love it!! No light just a flash from the Camera. What's you go to Red? Do you have Tamsen? This is what Deborah Lippmann Candy Shop looks like. I got this photo from Barney's website. I do not have this polish. What do you think of dupes? Do you think higher end brands have the best products?